Gorgeous 5 bed, 4 bath Richmond American Homes (energy-efficient) "Darby" model w/ 4, 500+ sqft, 2-garage & LOADED w/ upgrades including 9-ft ceilings, hardwood flooring, gas fireplace, gourmet kitchen w/ island, gas cooktop, granite, stainless steel appliances, breakfast area & butler (walk-in) pantry. Main level also features formal living/dining area & home office/library. Upper level features master suite w/ trey ceilings, spa-like DELUXE master bath & upper level laundry w/ washer/dryer included. 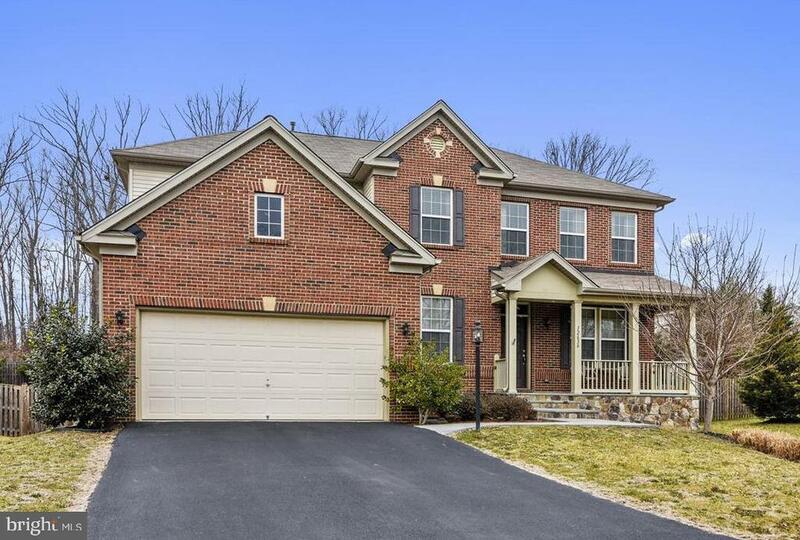 Lower level features finished walk-up basement w/ recreation/game room, media room, exercise room, full bath & storage (wet bar connections available). Exterior features fully fenced yard, flagstone, rear patio & fire pit. Premium lot w/ home backing to wooded/common area. Playground in back yard does not convey.